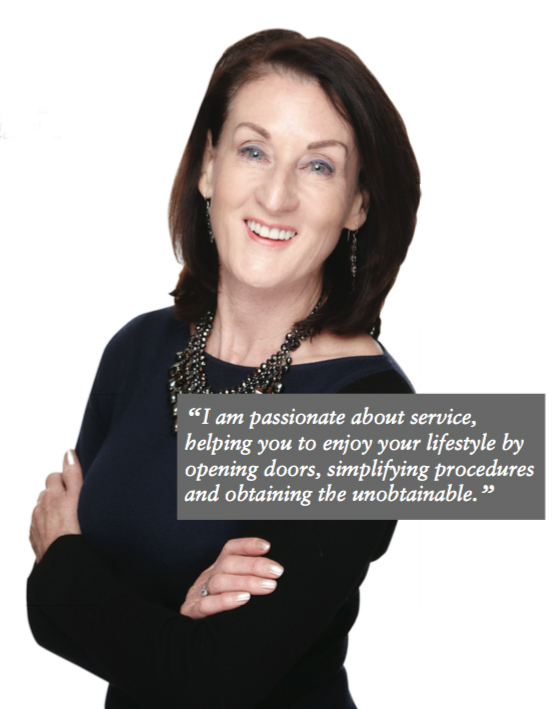 I am experienced in successfully managing the lifestyles of UNHW individuals and families, fulfilling their tailored needs and exceeding expectations. My expertise and network of local and worldwide contacts comes from a career as Personal Assistant/Office Manager in the banking and finance industries followed by eleven years' experience managing the lifestyle of an ultra high net worth individual and Private Family Office in Jersey and latterly Head of Concierge Services at wealth management company Bedell Trust. My experience and ability to rise to any challenge to acquire what you need, when you need it, and at short notice saves you time, your most valuable commodity. I provide an unsurpassed exclusive service for people who know how to enjoy the art of living and are privileged with having the time and resources to do so, organising anything from the extravagant to the everyday, providing a 24/7 service with discretion and confidentiality. Associate of the Institute of Qualified	Private Secretaries (AIQPS).